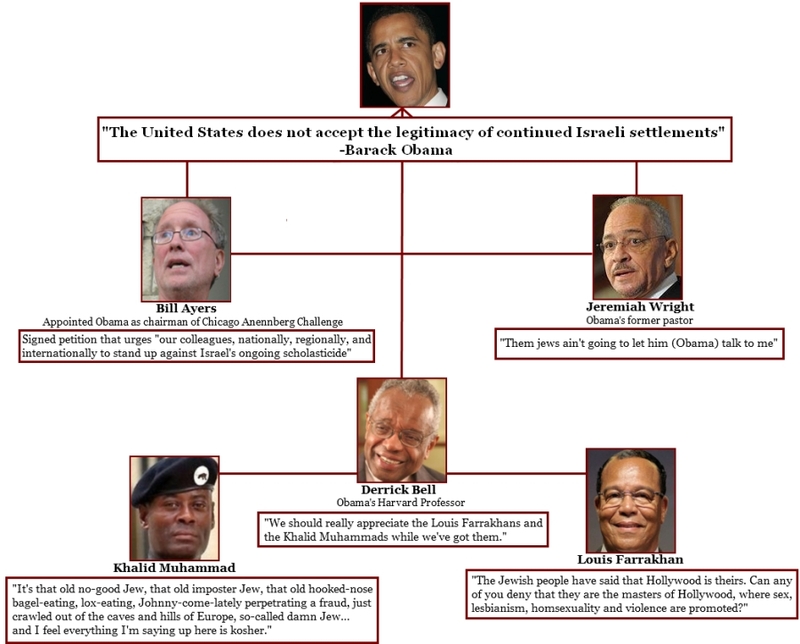 One of the topics that will surely fail to gain the attention of the mainstream media during this election season is Barack Obama's shady and controversial connections to individuals who have a history of anti-semetic views. 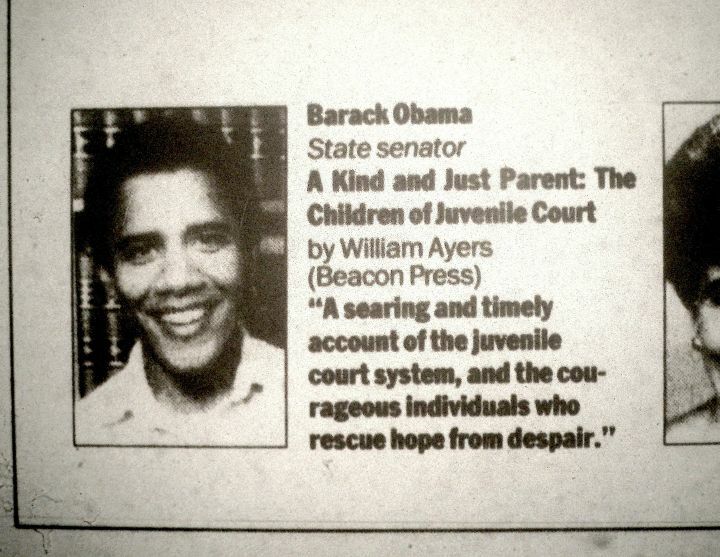 Aside from his much ignored connection and friendship with Weather Underground terrorist, Bill Ayers, Obama has had a history that seems riddled with an obvious anti-semetic narrative which most media outlets have been keen on ignoring. In the 2008 campaign, John McCain defended Obama against what he called "guilt by association". It is true that no candidate should be criticized or accused of wrong-doing because of his past connection to one single individual. However, one should ask whether it is a result of mere coincidence when a candidate has more than one, or even two, connections to radical and racist individuals. Obama has connections, directly and indirectly, with individuals who have been known for their anti-semitism. Whether any of this directly connects to Obama's flaccid and sometimes hostile policy on Israel is up for debate. Not included below is a man by the name of Ali Abunimah. Abunimah is the founder of a pro-Palestine website called The Electronic Intifada and has recalled introducing Obama at a pro-Palestine rally in 1999, as you can see in this video. The mainstream media has long known about Obama's support for Derrick Bell, the founder of critical race theory, but not much was made of the relationship until late conservative blogger, Andrew Breitbart, recently decided to begin a vetting process that the mainstream media attempted to avoid in the 2008 campaign. In a video posted on Breitbart.com, a young Obama is recorded introducing Bell by saying, "Open your hearts and minds to the words of professor Derrick Bell," followed by a hug and an embrace. In a 2010 interview with the New York Observer, Derrick Bell was quoted as saying, "We should really appreciate the Louis Farrakhans and the Khalid Muhammads while we've got them". One's own research into Farrakhan and Muhammad would suffice in revealing their history of racism. In a new 30 minute film entitled Daylight: The Story Of Obama And Israel, the President's hostile and ignorant policy towards Israel is examined. The film can be watched for free and in its entirety here. One thing that the mainstream media has done is highlight the frosty relationship between Obama and Netanyahu. What they have not done is examine the possible sources of Obama's attitude towards Israel. It isn't possible for anyone to call Barack Obama anti-semetic, nor should anyone do so. All we should do is ask questions and be as critical of this President as we have been of others. We should also ask why mainstream media has found Obama's connections to be non-news. It is unlikely that any Republican could escape such scrutiny when having such shady connections, so why should a Democrat? We could only imagine what a hayday the media would have if Mitt Romney had connections like Bill Ayers. In an election year, should we accept 180 degree changes in policy and attitude that are sure to surface from a White House that has been consistently hard on Israel (a free and democratic nation) and easy on Palestine (a totalitarian Islamic state)? Below are some more samples of evidence in which Obama is directly caught embracing his controversial friends.